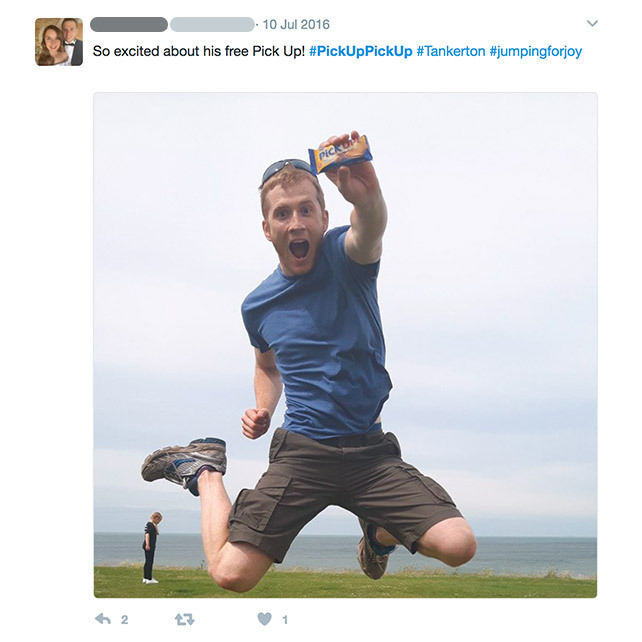 Bahlsen developed an innovative sampling activity, working with the retailers, to offer 2.5 million PiCK UP! 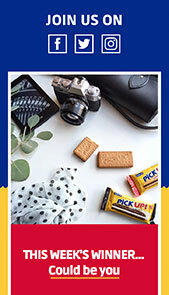 biscuits free in store on selected sampling days. 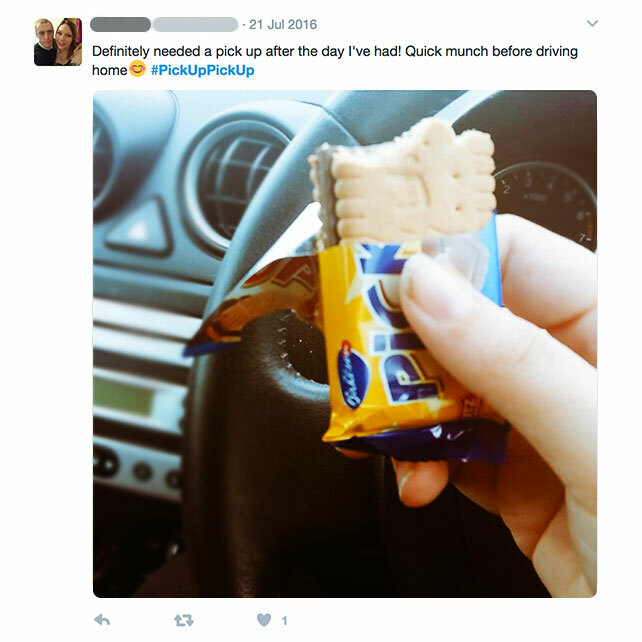 Consumers were given a pack with a coupon at the front of store, to redeem at the till. We had three weeks to bring the sampling activity to life! 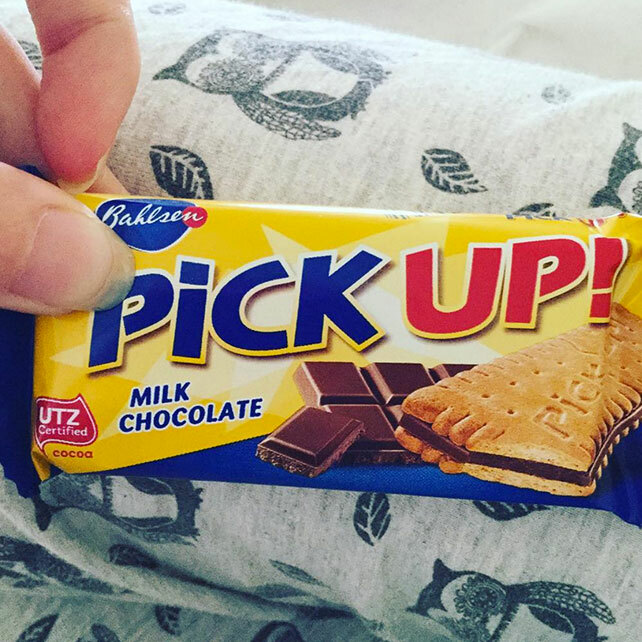 England crashing out of the Euro's, Brexit looming - we wanted to give the nation a pick up... a pick up from PiCK UP! 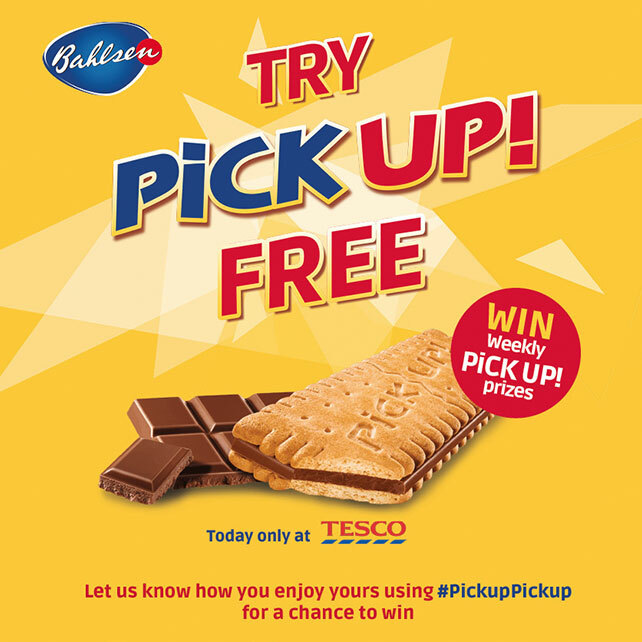 We wanted to develop an activation idea that extends the activity beyond store & brings to life the idea of the PiCK UP! giveaway in a positive way. 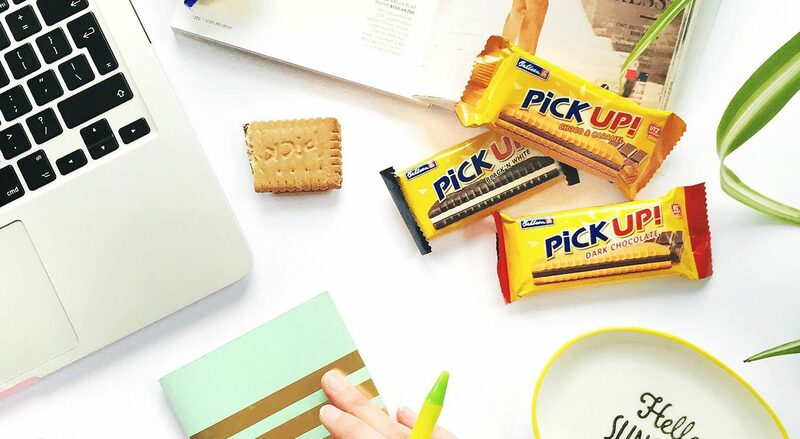 June 2016 was a tricky time of year for the nation – England crashing out of the Euro’s, Brexit looming – we wanted to give the nation a pick up… a pick up from PiCK UP! 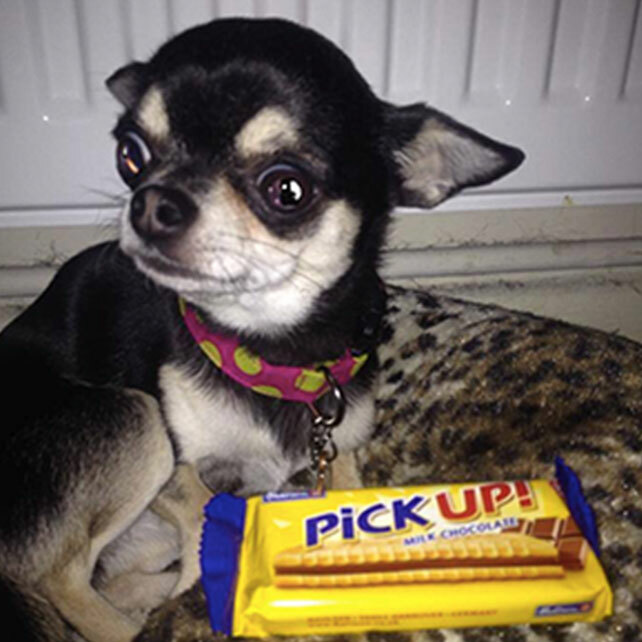 Our digital campaign inspired consumers to share their PiCK UP! 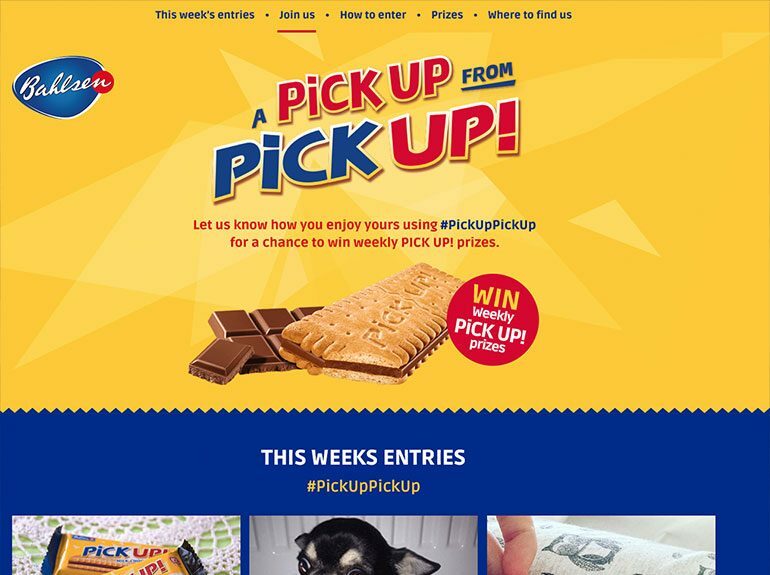 experience using a #PickUpPickUp hashtag on Instagram or Twitter, to be in with a chance of winning weekly pick-up prizes.